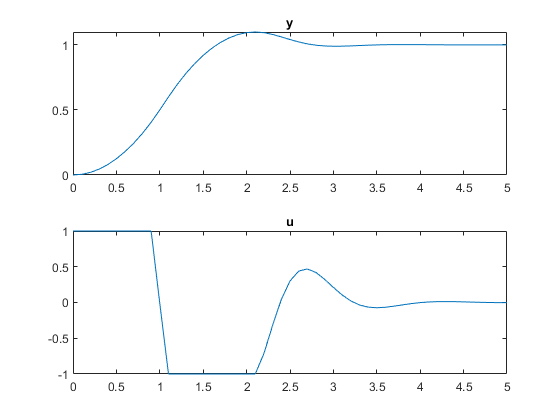 This example shows how to use measurable plant states in MPC control at run time. The linear open-loop plant model is a double integrator. Create the controller object with sampling period, prediction and control horizons. Specify actuator saturation limits as MV constraints. Specify the controller to use custom state estimation. Configure variables to store the closed-loop responses. Prepare the plant used in simulation. Use MPCSTATE object to specify the initial controller states before simulation starts. Assuming no disturbance added to measured output channel #1. % these values for state estimation instead of the plant output. 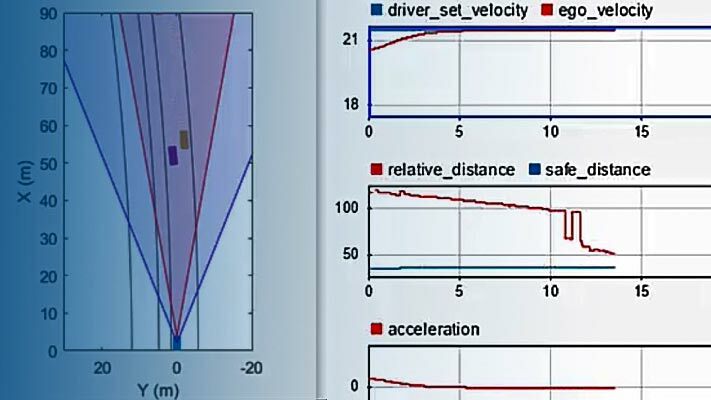 To run this example, Simulink® is required. 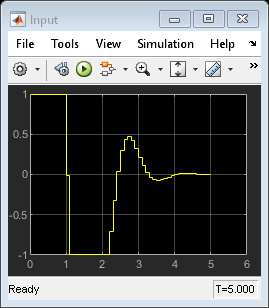 Simulate closed-loop control of the linear plant model in Simulink. Controller "mpcobj" is specified in the MPC Controller block dialog. The closed-loop responses are identical between simulations in MATLAB and Simulink.